::: Off the Radar :::: Pet Shop Boys! Yes! 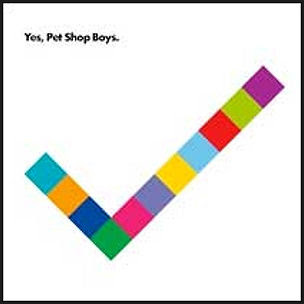 Electronic pop legends Pet Shop Boys will be releasing their 10th studio album 'Yes' on March the 16th. Two days after my birthday, so I guess it's a birthday present for me! Heard First Single/Video 'Love, Etc' the other day and I was blown away! Possibly one of their best songs ever! This 25 years on in their career! Pretty amazing! Not too many artists can remain relavant after so many years, but Pet Shop Boys aren't your average band. They are one of a handful of alternative legends that I grew up listening to and still am like DM. They got a lifetime achievement award the other day at the Brit Awards were they performed a mega mix of a bunch of their hits throughout the years and it really reinforces how relevant they have been and how many great songs they have put out in their career. Here is their excellent new video for 'Love Etc', plus the mp3 and a sweet remix by Gui Boratto and their excellent Live Performance at the Brits. Hope they swing through our neck of the woods for the next tour. I need to see them Live at least once! I was going to post this. I like the video. The remis by Gui Boratto is one of my fave traks right now. I will be playing out.